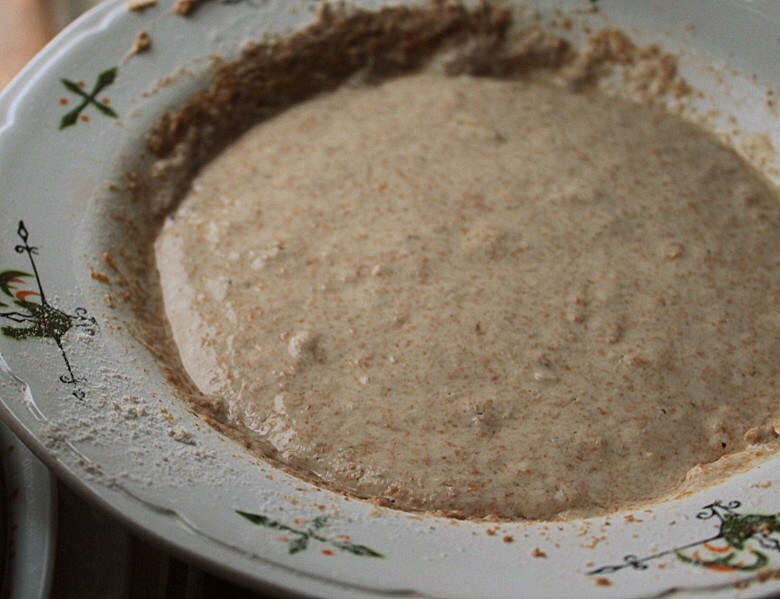 A sourdough starter is quite similar to other cultures such as yogurt and kefir. It needs regular feedings to stay healthy. It can be adversely affected by changes in food, climate, and care. Take heart, though, in knowing that a healthy, vigorous starter can be kept without having to feed it every single day. On the contrary, your starter can be kept in a refrigerator for short-term storage. If you’d like to take a longer break from sourdough baking – for months, even – there are options for this as well. If you’re willing to feed your starter every day, it can simply be kept on your counter in a reasonably comfortable place. Temperatures of 60-80 are optimal. Simply feed it once per day – morning or evening. It is best used at its peak after 6-12 hours of feeding. Best for: Those who bake with their starter at least several times per week and those who utilize it for other sourdough foods such as pancakes as crackers, which will utilize the “discarded” portion of starter at your feedings. A freshly-fed starter, just beginning to show signs of bubbling. Once your starter is vigorous and established, it can be stored in a refrigerator with up to one week between feedings. To do this simply feed your starter, cover it loosely with a non-permeable lid so as to allow the escape of built-up gases but so that any off odors from the refrigerator do not invade. Then, once per week, take it out and discard a portion and feed it once again. Do this weekly and you’ll have a starter ready for you when you need it. To freshen the starter for baking, it is best to liven it up by bringing it up to room temperature and then giving it a couple of feedings. Feeding it twice in a 12 hour period will bring it back to life and will also create enough starter to use in your recipe. 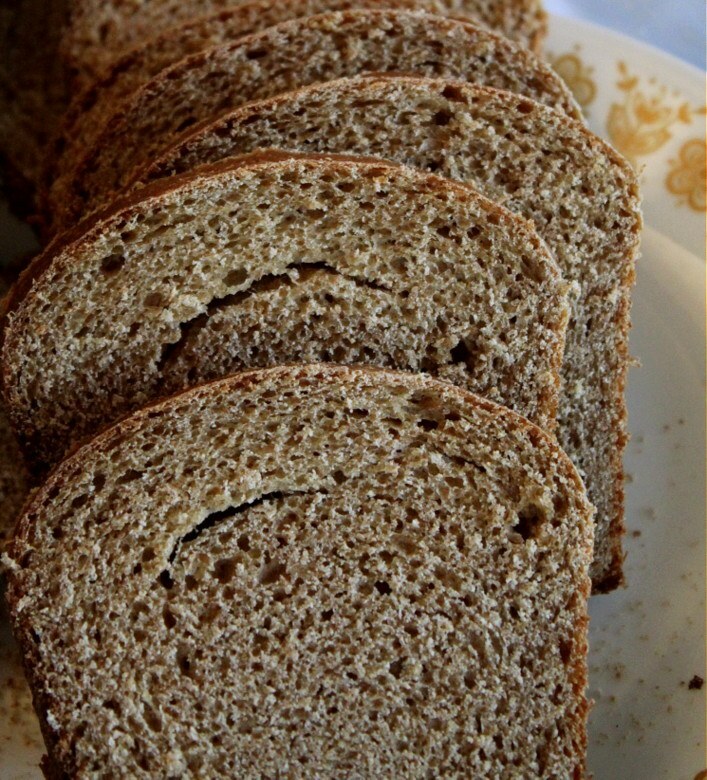 Best for: Those who wish to bake breads no more frequently than once or twice per week. Oftentimes things come up that require a longer break from sourdough starter than what is provided through storing in the refrigerator. Moving, a wedding, or any big life change might see you away from your baking projects for weeks or even months. There is a simple solution for this case. Dehydrating your starter will keep it stored for the long haul without continuous feedings of any kind. The procedure is as simple as taking a few tablespoons of healthy, active starter and spreading it thinly on a piece of wax paper. Allow this to dry in a cool, dry place. When dehydrated, simply store in an airtight jar or sealed bag in a cool, dry place. Some find that storing it in the freezer provides optimal freshness when living in a warmer climate. Note that if you attempt to dehydrate the starter using an oven or a commercial dehydrator be very careful not to overheat the starter in the process. Temperatures above 115 should be avoided as this begins to denature and eventually kill-off the many microorganisms contained within the starter. When you wish to return to sourdough baking simply rehydrate your starter by feeding it the same proportions of water and flour as dehydrated starter. For instance, if you now have one tablespoon of dehydrated starter, feed this one tablespoon of flour and one tablespoon of water. After this initial feed, you can reactivate the starter by feeding it ¼ cup each flour and water every 12 hours. Once it is doubling in size ever 6-12 hours and seems to have a healthy, vigorous nature, you should be able to store it in the refrigerator or use it for baking once again. Best for: Those who know they won’t be baking due to a move or big life change. Also, for those who have established a starter with excellent rising and flavor properties and who simply want to create a backup of their favorite strain of starter. A fresh loaf of 100% whole wheat sourdough bread. Many recipes call for an “active” starter or a starter at its “peak”. These terms can seem ambiguous and, depending on the recipe, they may mean any number of things. 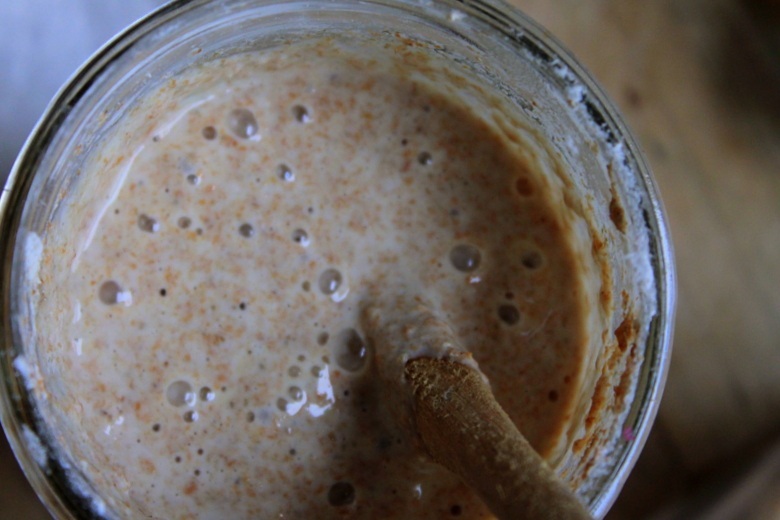 It is helpful to know, therefore, what the stages of a sourdough starter are and when it is best used in a recipe. 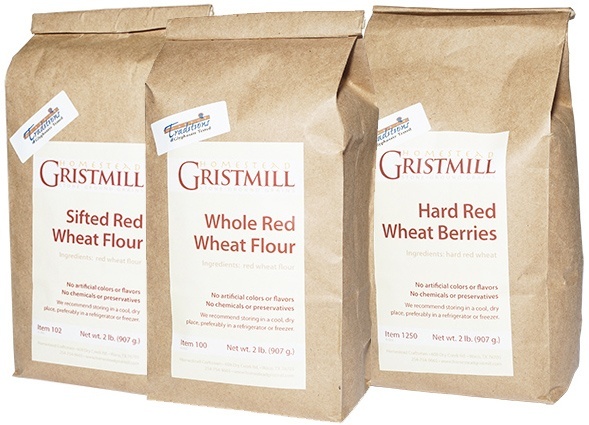 When you first feed a starter, it begins to feast off the sugars in the fresh flour you have recently provided it. The microorganisms – including the yeasts, which are all important to the rising process – are beginning to multiply. Because you have just diluted these microorganisms with a fresh heaping of flour and water, the concentration is not high enough for the starter to fully do its job at raising bread. In the next few hours the microorganisms in the starter begin to rapidly multiply. The yeast population expands as does the bacteria. 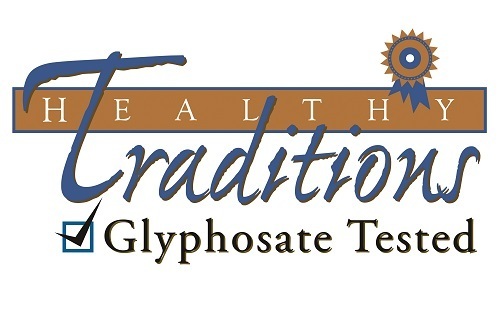 It is during this time that the tell-tale signs of a healthy starter are visible – carbon dioxide bubbles are trapped in the web of gluten and it begins to take on a pleasantly sour aroma. But the microorganisms are only multiplying still. Finally, when the starter has doubled in size the bacteria, acids, and yeasts are at their peak. They have multiplied nearly to the extent that they can. It is at this point – when the starter has been given 6-12 hours since its last feeding – that it can be used in a recipe. It is active and at its peak, as many recipes indicate. Mixing it into flour and water will begin again this multiplication of microorganisms which is exactly how a beautifully risen, full-flavored bread comes to be.